So with every party, you need a good party haul on stuff for the party! 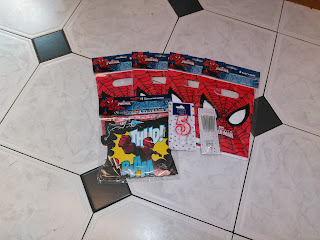 So this is our first haul for the Spiderman Party to celebrate James turning five! First off we have the Spiderman party bags! These were £1.50 for eight at Tesco, who also have all their party stuff on offer for 5 for the price of 4! So four packets of party bags were purchased. 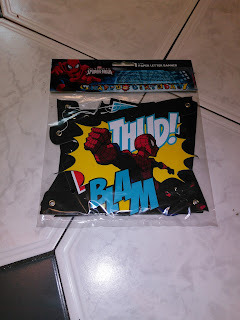 Next we have the Spiderman happy birthday banner. This was also from Tesco in the 5 for the price of 4 offer. 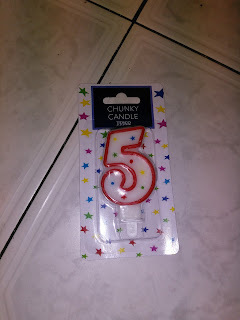 We have the number 5 candle for James cake! 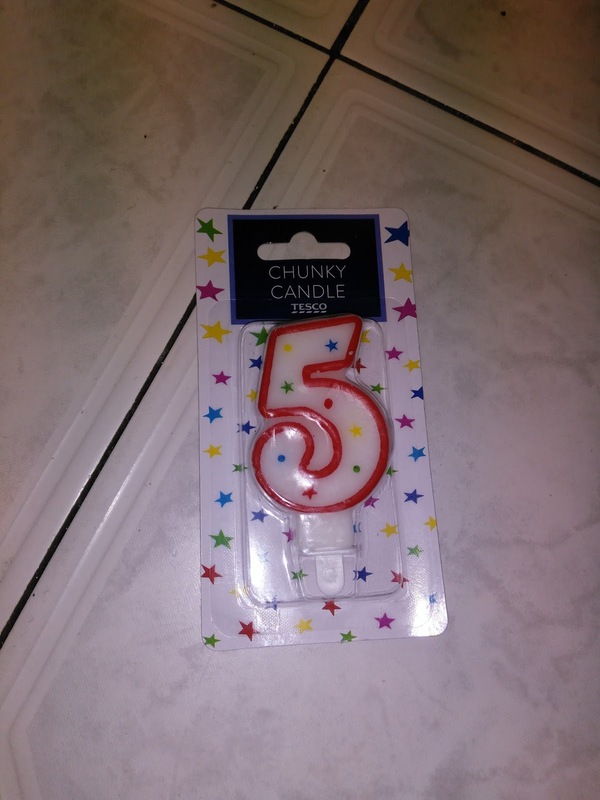 Last year we had candles spelling our James on the cake and they were such a pain to light so this year we have gone with just the number! 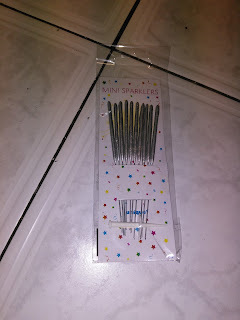 We also have some mini sparklers for the cake! James had sparklers on his first birthday cake so when I saw these at Tesco I knew I had to get them! 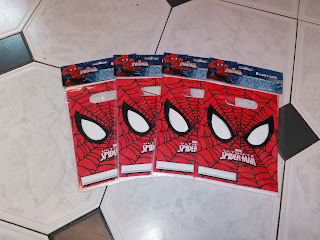 James is after a pinata so I'm on the hunt for a Spiderman one!! 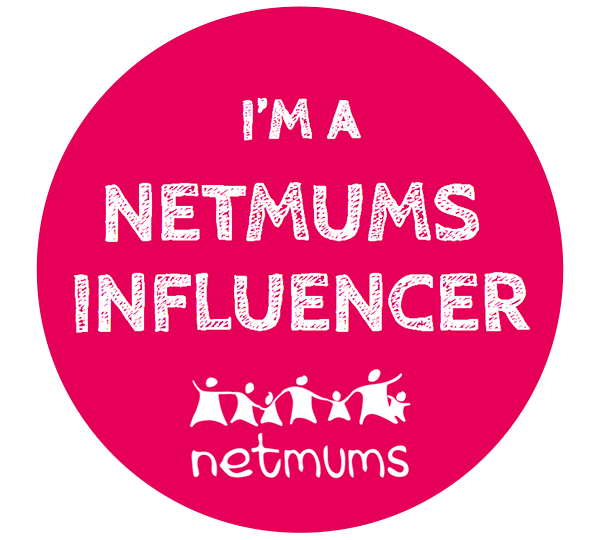 If you know where I can get one from please email or leave a comment below! 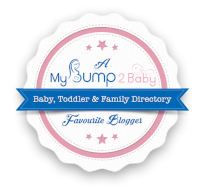 The next haul will be on the party bags and what is in them!